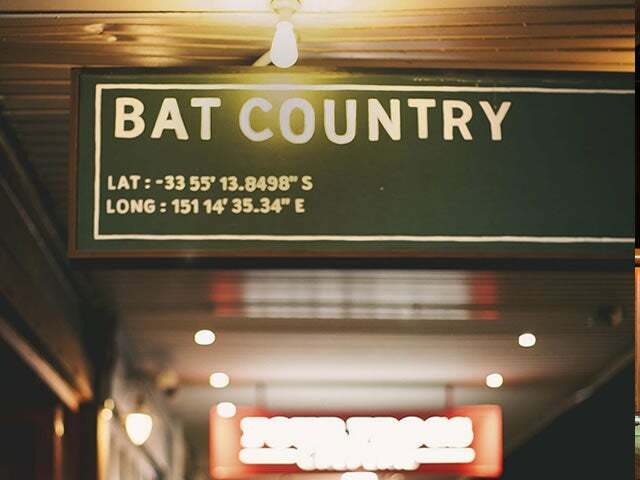 The bar takes its name from a Hunter S. Thompson line – ”We can’t stop here, this is bat countryß- and the gonzo theme continues throughout this new Randwick drinking den. It’s subtly done though, witty nods rather than an onslaught; there are Rolling Stone magazine articles on the bathroom walls, and era appropriate music. True co-owner Collin Perillo favours Hunter-style Hawaiian shirt but we’ll give him that. The literary theming doesn’t get in the way of things and the focus here is very much on qualities. Perillo earned his stripes at London’s Milk and Honey and knows his stuff. Rum, unsurprisingly, features prominently on the drinks list and mezcal also puts in a strong showing. 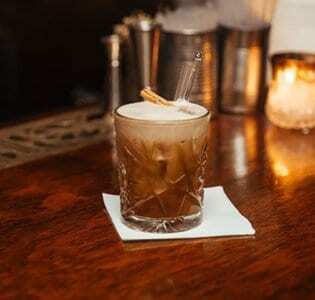 The Hollywood Sour is a heady blend of Calvados, angostura, and apple, sweetened with vanilla and almond; the Air Mail a pleasing mix of Havana Club 32 yr, honey, lime and fizz. 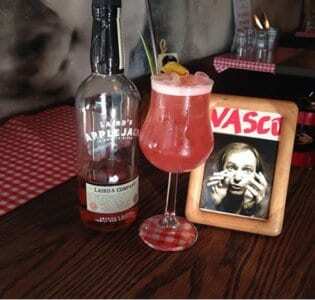 The Best Drink in the World, meanwhile, is a simple mix of extra dry rum, lime and sugar. The food menu is also worth dipping into. A selection of cheese and salami platters accompanied by some bigger plates: salt and pepper squid, rump steak, a couple of fish dishes. The garlic truffle potato skins are addictive, which seems oddly appropriate.